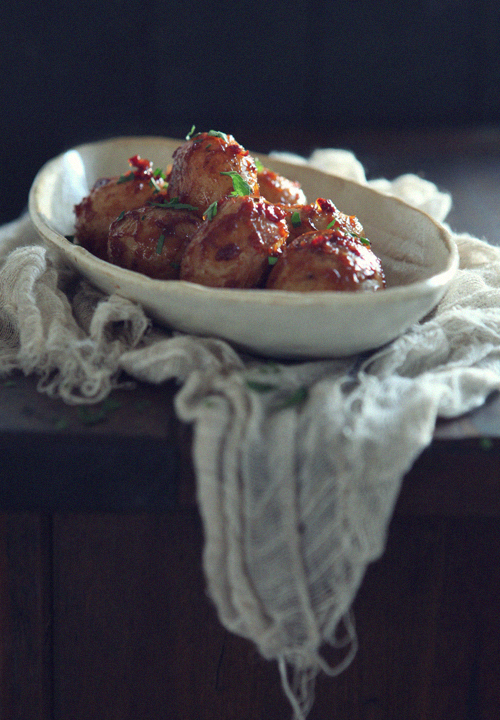 This simple potato dish has a delicious depth of flavour – sweet, savoury and a little kick of heat. It’s a unique and addictive side dish. Boil the potatoes in lightly salted water until just tender, drain and leave to cool slightly. Combine the miso paste, mirin, sugar and chilli flakes in a small bowl. Set aside. Heat the sesame oil in a large frying-pan, add the potatoes and fry them over a medium heat until golden brown. Add the miso sauce, gently stir-fly the potatoes to coat well with the sauce for about 2 minutes until the sauce becomes caramelised. Serve hot and sprinkle with chopped parsley. 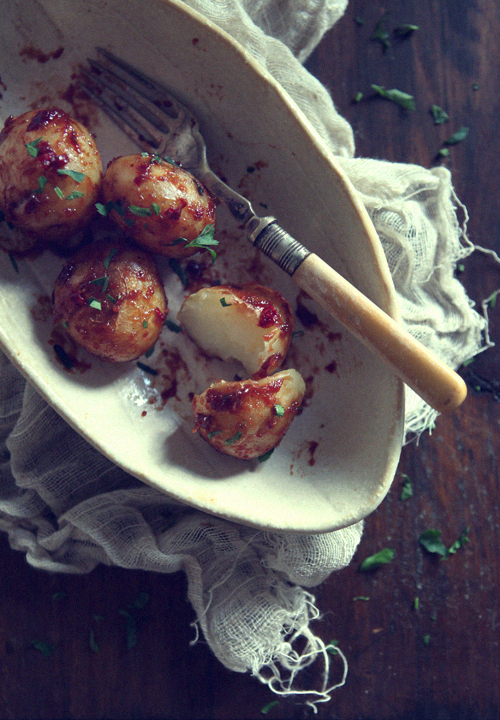 You are currently reading Spicy Sweet Miso Glazed Baby Potatoes at Fish Trip Cafe.